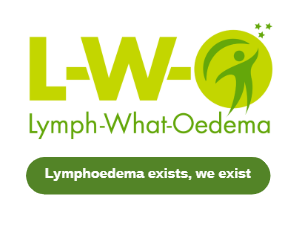 L-W-O is a non-profit group, providing non-medical support for those living with Primary and Secondary Lymphoedema. We do our best to provide services free of charge. To enable us to do this we rely on the support of Volunteers. Our Founder, Online Admin Volunteers, Moderators and Twitter Admin live with lymphoedema. Our Children's Ambassador is the parent of a child who lives with Lymphoedema. Our support group has over 1000 members across the UK, and other parts of the world. We need online Volunteers with skills to help us raise awareness of lymphoedema. L-W-O needs, Volunteers to help us in Coventry, Nuneaton and Warwickshire. Do you have one or two hours per month to spare? Happy to make tea or coffee? The most commonly asked questions when I talk about volunteers is; "Why do you need volunteers, if you run the website and support group over the internet". L-W-O is now in the fortunate position that we are asked to various events in the community. This might be to give a talk on lymphoedema, go to local community or charity events or to go to meetings that are beneficial to L-W-O. The amount of invitations L-W-O is receiving cannot be done by one person alone.